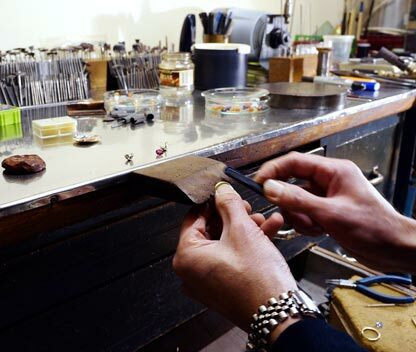 Basic and advanced goldsmith’s courses that allow you to create your own jewel. The course comprises 2 parts, a learning and a theoretical specific phase and experimental practice involving metals, alloys and laboratory procedures. The objective is to deepen the analysis of technologies of preparation of the materials used in the laboratory that, while maintaining processing techniques craft, allows the student to analyze the entire production process. 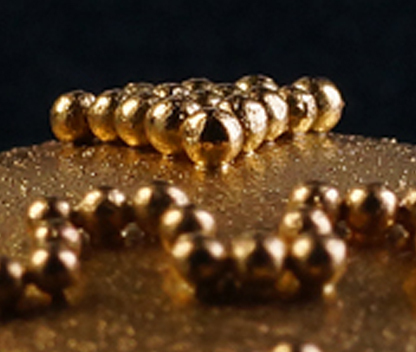 Description of the principles and basic techniques for the production of granulated jewels. The students will learn the technique of granulation through historical books and photographs. Then they will be given practical experience with technical demonstrations of preparations of gold alloys, preparations of granules and their applications. You can perform the exercises and practical tests of the technique in the creation of unique pieces. Theoretical and practical goldsmith’s courses structured in different levels starting from theoretical knowledge of the technique Mokume Gane. After the student master the knowledge of the technique, he will try to create a block of foils Mokume Gane, a process that requires great accuracy. First level: on Mondays, basic course of six hours. 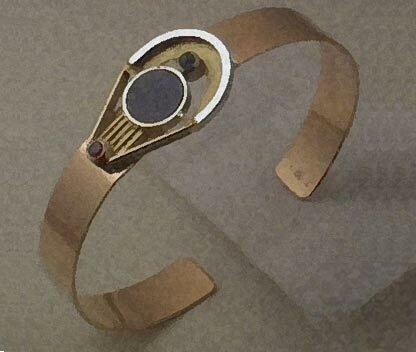 During the day the students will process with engravings and laminations silver-copper mokume gane blocks, technical data will be offered to them. The students can buy the sheet produced during the day. The price varies according to size, from € 20 to € 100 maximum. Second level: Mondays and Tuesdays or alternatively two Mondays. 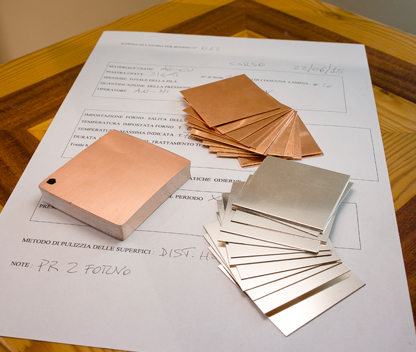 Classes will be held for two days, 6 hours each, the first part consists in the preparation of the sheets and all stages to get the silver – copper mokume gane block, the second part will be as in the basic course. Third level: Mondays, Tuesdays and Wednesdays or alternatively three Mondays. Advanced course during three days, six hours each. The first two days will be as in the the first and second level courses, while during the third day the student will try to get different designs and models. Workshop: on Mondays, on booking, that must occur from two to three weeks before the desired date. The workshop will be adapted to the needs and the desires of the customer. The base course lasts at least 4 hours. Discounts are available for high school and college students. Putting our experience at the service of your ideas, by creating unique patterns even from a simple drawing. 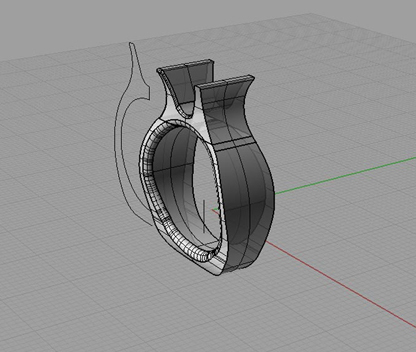 From modeling to CAD, making things perfect, symmetrical and modified according to your needs, offering a realistic preview of the finished product. 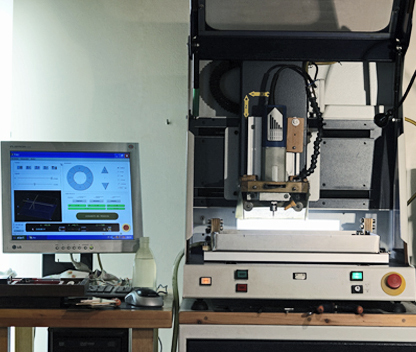 CNC machine allows to create high precision models for jewelers, goldsmiths and designers of art.